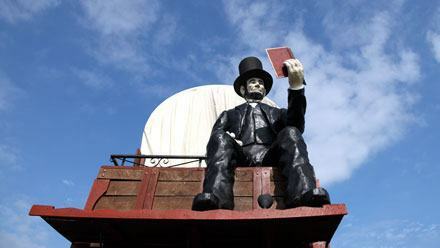 Above: Gemini Giant in Wilmington, Illinois. Numerous businesses established along Route 66. Possibly too many of them. 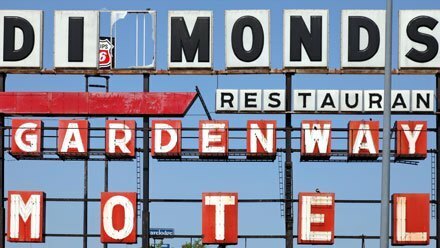 In some cities, Route 66 becomes a continuous line of motels, restaurants, and gas stations. 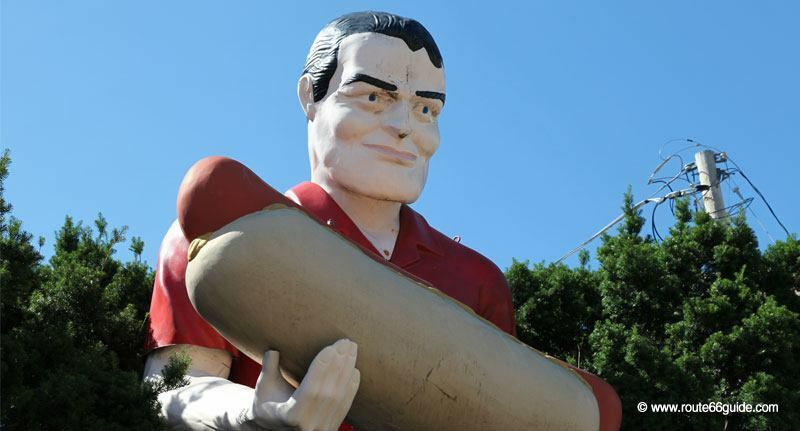 Thus, competition gives birth to the "Muffler Men", the giant, fiberglass-built advertising characters that will quickly become - and remain - the emblems of Route 66. 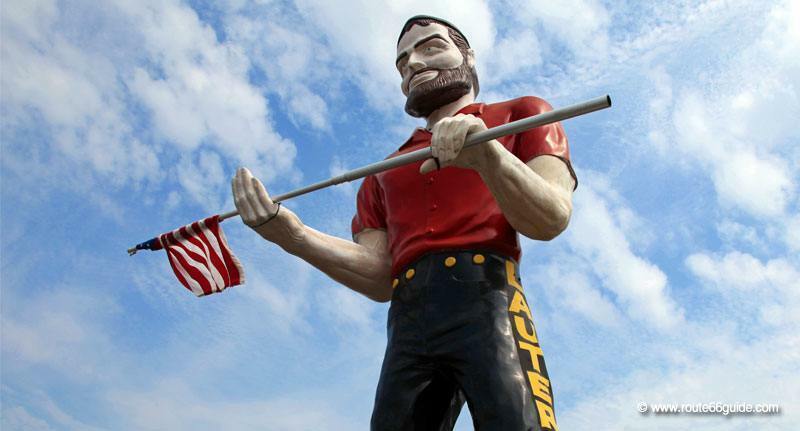 Above: "Lauterbach Tire Man" in Springfield, Illinois. The first of them, "Tall Paul", would have appeared around 1940 in front of a Cicero hotdog stand in the suburbs of Chicago, Illinois. 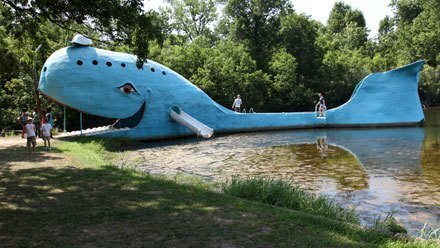 Threatened with demolition, it has since been moved and restored, being now visible in Atlanta, Illinois, further west along Route 66. He still holds his gigantic hot dog and constitutes a not-to-be-missed photo stop on the road. 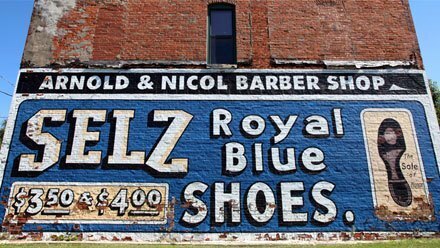 Above: Atlanta, Illinois. Muffler Man "Bunyon's Statue Tall Paul", probably the first Muffler man in history. In any case, the most famous! 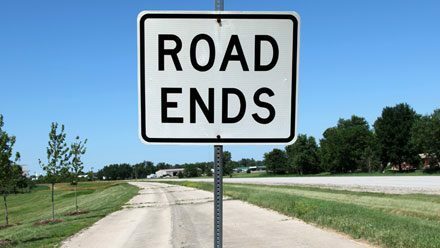 However, Muffler Men, as many businesses, will also and progressively vanish following Route 66's decommissioning. 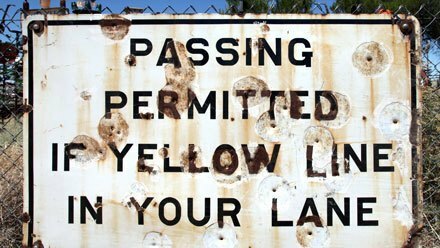 Currently, only four remain in Illinois and Arizona, Flagstaff. Above: Flagstaff, Arizona. 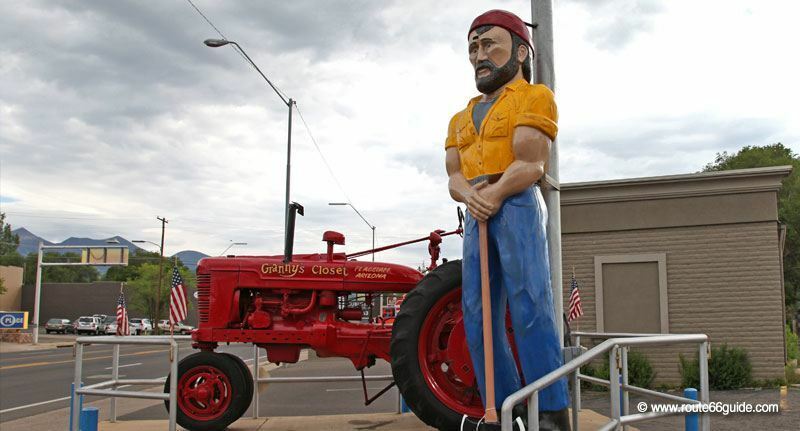 Muffler Man "Lumberjack" before "Granny's Closet”. 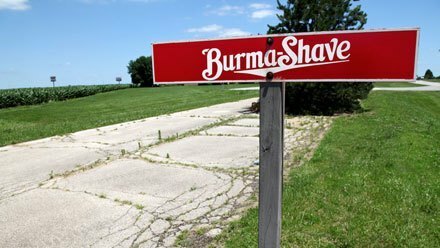 It is the last advertising giant standing outside of Illinois on Route 66. 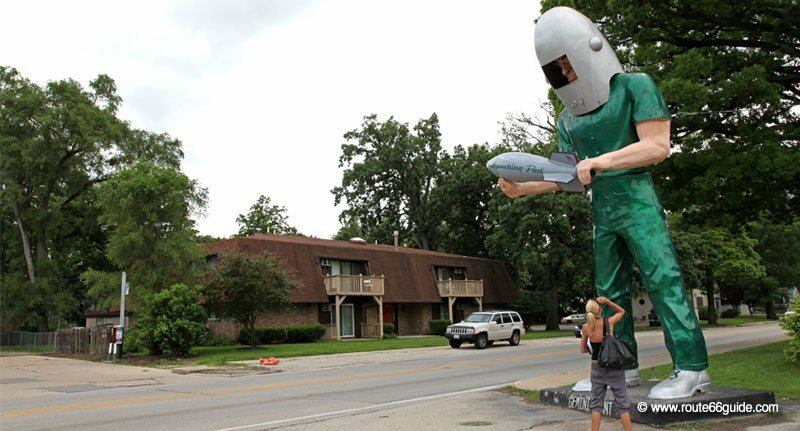 Illinois has affectionately nicknamed the Muffler Men as the "3 gentle giants of Illinois". 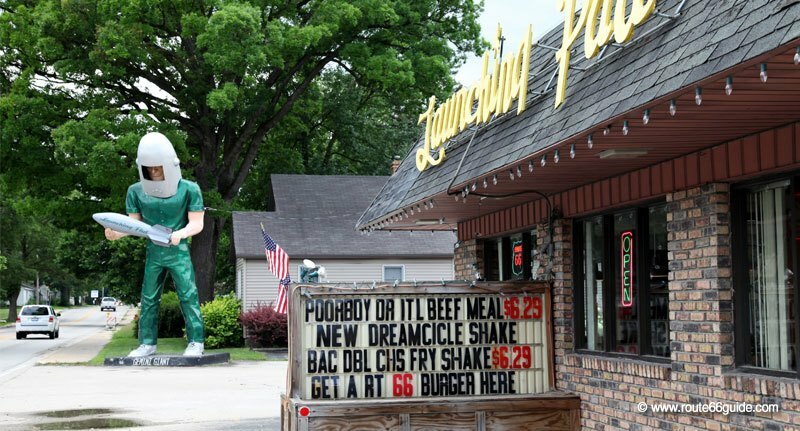 Two of them have become real icons, repeatedly portrayed on all guides, photo books, and numerous documents on Route 66: the green astronaut "Gemini Giant" in Wilmington announcing the "Launching Pad" fast food and "Tall Paul, "probably the first Muffler Men in history in Atlanta. 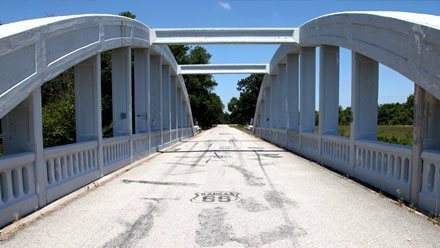 Above: Wilmington, Illinois. 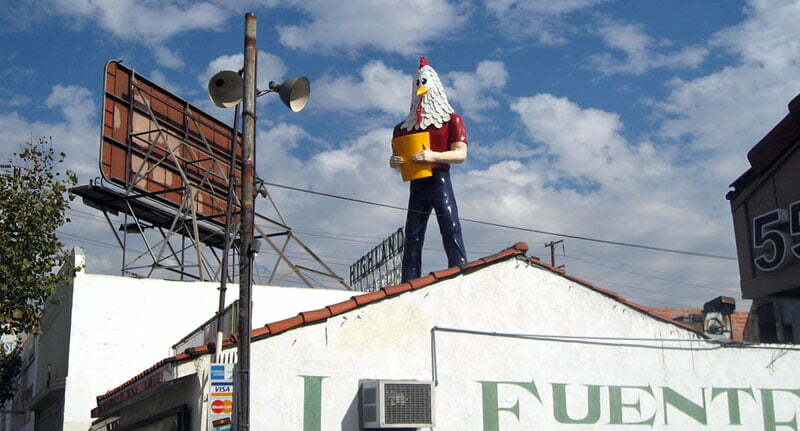 Muffler Man "Gemini Giant".